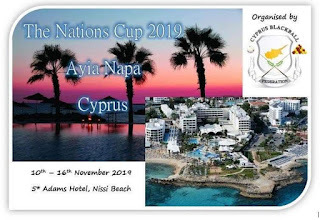 WINNER OF RANKINGS IN EACH CATEGORY WILL HAVE TRAVEL AND ACCOMMODATION PAID FOR CYPRUS! 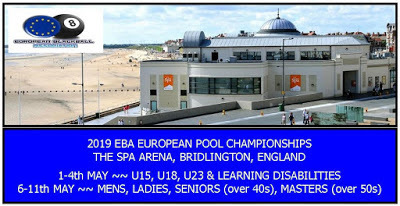 MENS, LADIES, U23, U18, U15, MASTERS, SENIORS. Entry fees to be paid by Paypal to gillianrolston@outlook.com (friends and family option) by Monday 20th May. Please include your name so as we know who has sent the money. Current NI Champion or runner up if Champion declines. If both Champion and Runner Up decline, then 1 wild card is allowed. 2 wild cards from attendees of ranking tournament, including one under rule 4. Players that achieved 60% or more in last International event held and have attended the ranking tournament, if there is no player that meets this then players from rankings will be chosen. Winner of the Ranking tournament. 3 wild cards from attendees of ranking tournament including one under rule 4. Next player in sequence from rankings. 4 wild cards from attendees of ranking tournament including one under rule 4. Wild cards must not be chosen or informed until after the tournament. Each team will have an option of choosing 1 player exempt from attending the ranking tournament, this would be for an overseas player or someone who has a genuine reason for not attending any events, in this case, it must be put to committee for approval. Players who are not willing to travel to either Cyprus or Bridlington must NOT enter the ranking tournament. Entry fee of £20 per event must be paid in advance. NO EXCEPTIONS. Prize will be determined by committee and announced prior to each tournament. Teams will be selected in hierarchy order of Men’s, U23, Ladies, Seniors, Masters. If a player in the rankings is eligible for another category i.e., Seniors/Masters then they can choose which category they wish to play in. Only players exempt from attending the ranking tournament are the current NI Champions (though they can attend if they wish) and any player under rule 4. The executive committee will sign off every team before it is announced, if a team is deemed ‘unsuitable’ for any reason then it will not be able to attend the competition. The executive committee will address any issues as they arise and can amend or adapt these rules to deal with any oversights. Venues and times will be announced via our website and social media. NIPA dress code will apply at all events.